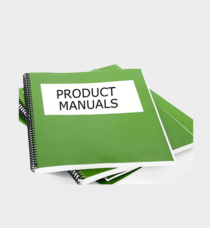 Advantages - Check out all the benefits of Keystoker products. 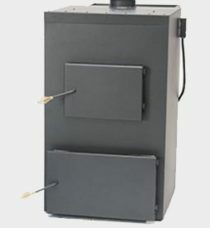 This exclusive flat grate gives you a deeper fire bed pulling maximum heat from the coal with a more complete burn, reducing ash to a powder-like material. The vertical directed flame promotes greater heat absorption by the stoves internal heating surfaces transferring more heat into your home. 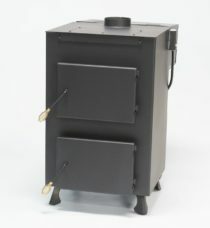 The patented built-in heat exchanger cools the exhaust air system, all heated gases are forced to the bottom of the stove, then pass back up through two 4” pipes allowing the convection blower to force hotter air out of the stove and in the home, lowering the stack temperature, and giving you the highest possible efficiency to insure maximum savings for you. Honeywell Thermostat – Set your thermostat to your desired comfort level. Regardless of outside temperature changes due to sunny days or cold windy nights, your thermostat will maintain a steady house temperature without any adjustments. Keystokers are completely assembled and wired (except hopper and thermostat) and are equipped with top of the line, long-lasting motors, controls, and blowers. 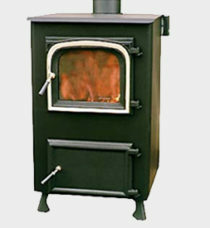 Automatic Stoker Stoves – A cost saving benefit for homes without chimneys are Keystoker direct vent models. 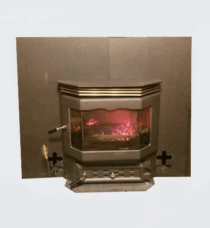 Our manufactured venter attached right to the stove allows you to exhaust combustion gases through a small vent hole in an exterior wall. Unlike a power venter, all electrical components are located inside the home for protection from outside exposure to the elements. The venter is equipped with an easy access clean out door to keep your venter running trouble free. 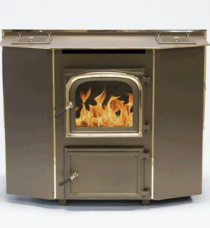 Available in top or rear vent models on our 90,000, 105,000, Bay Window, ZC, and Koker. 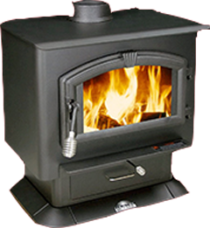 Comfortable warmth — Keystoker winter conditions your home with clean even heat. 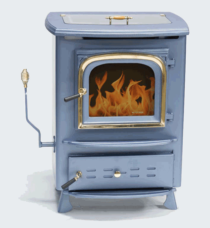 Accurate controls and thermostat provide automatic well-regulated warmth with quick response to weather changes. 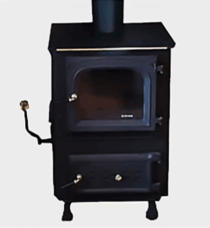 Warm air, water, or steam heat are equally efficient with Keystoker unit. 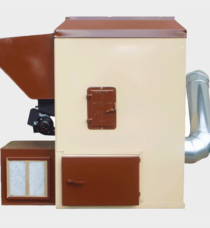 Low Cost Fuel—Keystoker is most economical and efficient using anthracite rice or buckwheat coal. The savings on fuel bills alone will pay for your Keystoker in the course of time. 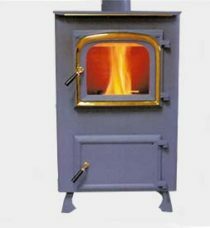 90/105 Stove – Turn your stove into a mini furnace by adding a 6” or 8” vent opening on top of stove, air can now be directed into another room or floor with a duct pipe. Blower CFMs can be increased from 265 to 350 on 90,000 and from 350 to 500 on 105,000. 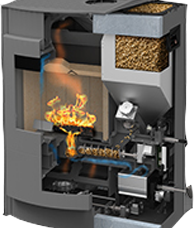 COAL-TROL Digital – The factory installed T2 Thermostat is designed for precise regulation of a coal fire. 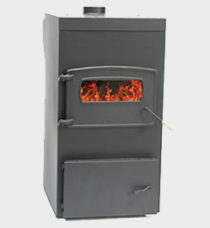 It works by adjusting the fire to the precise size necessary, keeping temperature within one degree of the setting. 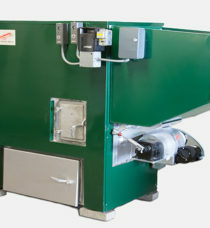 It also automatically adjusts the speed of the convection blower according to the size of the fire. The COAL-TROL Digital T2 Thermostat has day and night temperature setback for even more fuel savings. Stainless Steel Hot Water Coil – This stainless steel loop coil is used to Maintain the water Temperature in your existing water heater. 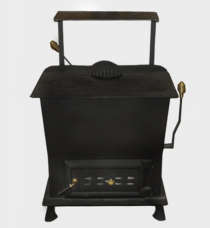 Heater must be within 10 feet of the stove to allow water to flow without a circulation coil can be installed on the right or left side when facing the stove. 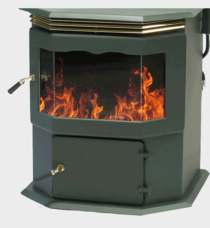 Chimney models are made in both top and rear vent to accommodate your flue height. 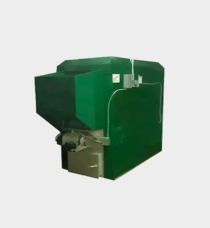 Secondary Combustion Motor – Allows boiler to operate with a smaller fire, to use less coal, eliminate overhearing, and will maintain a fire in any draft condition. THE Heart of Keystoker – A simple feed mechanism with very few moving parts is easily adjusted and maintained. Troublesome belts, sheer pins and worm conveyors have been eliminated. This feed mechanism with slow moving, long life parts keep service calls to a minimum. 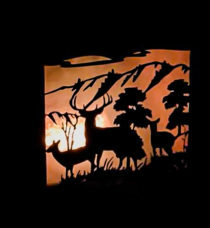 Low Initial Cost – Check and compare. Your dealer can give you the complete price of an installed Keystoker. When you compare the cost of the Keystoker with any automatic hot water heating unit, you’ll realize how reasonable Keystoker is priced. 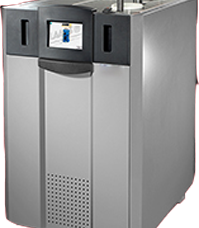 Abundant Hot Water – 200 gallons or more every hour of every day. This year round plentiful supply is made possible by the use of copper coils that heat your water in a jiffy. No how water tank to install.